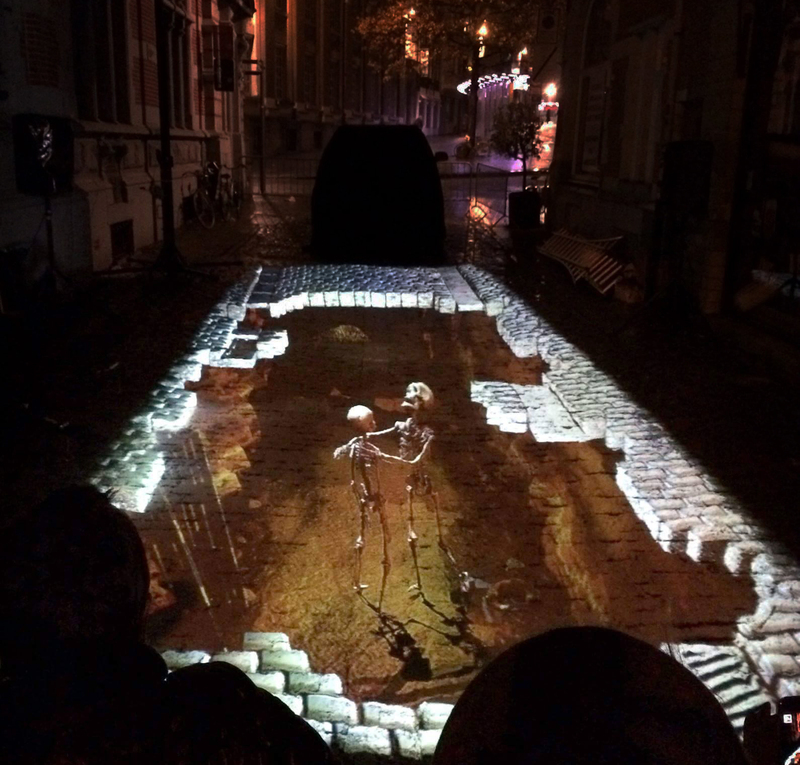 ‘Skeleton Dance’ is a streetmapping project that was first presented at Brussels Light Festival in 2013. 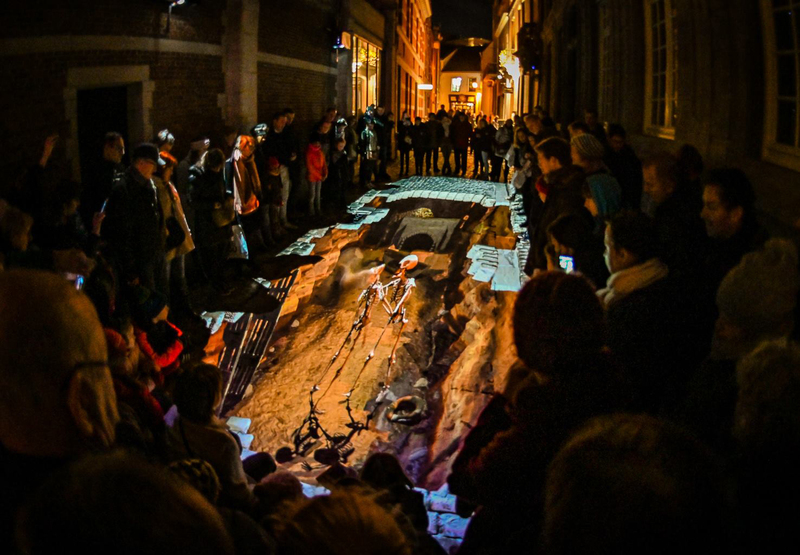 During the three day festival, more then 85.000 people visited Brussels Light Festival. 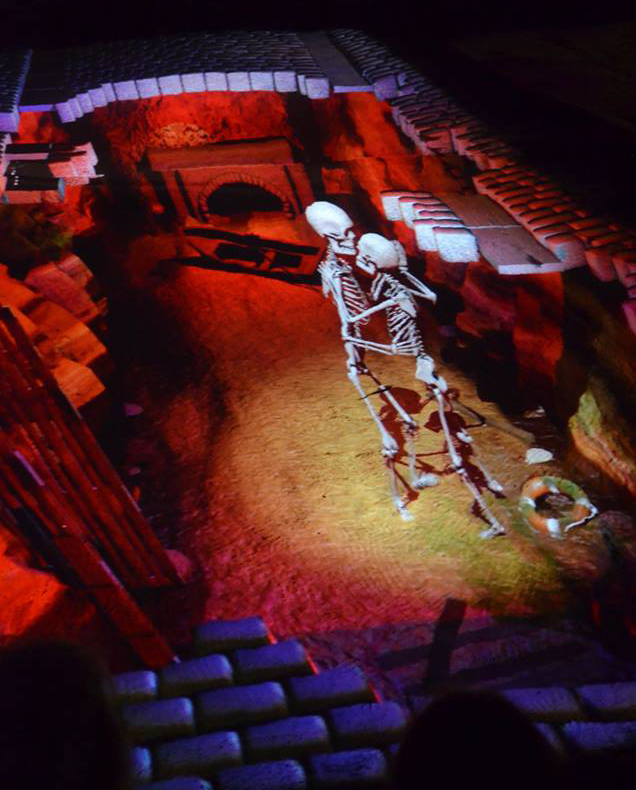 Over the past few years the project has traveled to multiple festivals around the world. 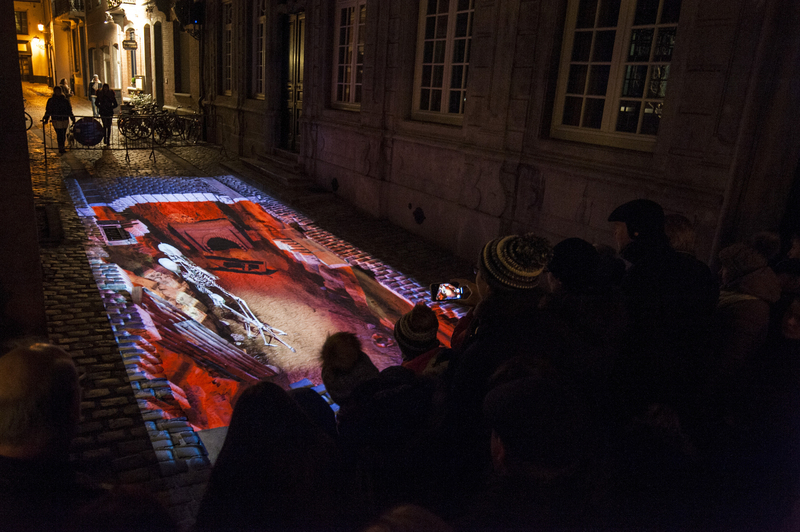 For the Brussels Light Festival we created a mapping project in which we developed a new technique to project onto the cobblestones instead of onto a building. 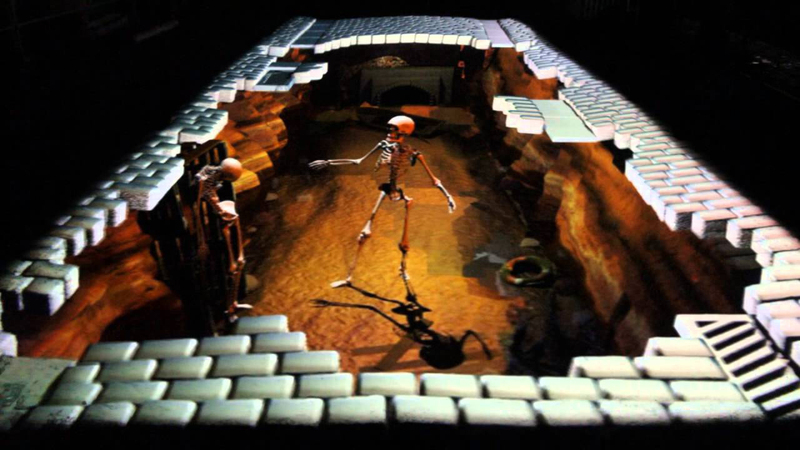 A procedure similar to the well-known street paintings, but with moving images.